Nintendo’s Legend of Zelda series has made for popular source material over the years. Beyond Good & Evil and the Darksiders franchise are two prime examples from gaming’s past, with future ID@Xbox releases Below and AER ensuring that the trend continues. But it might be Borealys Games’ Mages of Mystralia, which is only confirmed for “consoles” as of now, that ends up outdoing them all when it comes to Zelda aping. Mystralia opens with players taking control of a young girl named Zia exploring a verdant forest. Taking the only path forward puts you on course to encounter the occasional troll that can be overcome with some hacking and slashing. Best enough of them and you’ll eventually reach the inevitable larger troll. You’ll have to dodge this boss’ attacks in order to expose a weak point for inflicting maximum damage. As an alternative to melee attacks, you can (and probably should) unleash some fireballs on the trolls, large and small. This isn’t altogether different from Zelda, as most games in that venerated franchise empower Link with some basic magic attacks. It’s when the boss troll is defeated that Mystralia gives its first hint of how Borealys will add its own mark to the action-adventure genre. With the boss bested, it’s on the next area of the forest. The way forward is blocked, but an unlit torch on an unreachable platform above the player is clearly begging to be lit. The only problem is, the base fireball spell only shoots straight. Clearly a different kind of spell is necessary, but Borealys hasn’t given Zia one at this stage of the game. What they have provided is the means by which players can create their own. “Create” is how the developer explains it, at least. In reality, “modify” is probably the more proper term here, as the process more involves adjusting how spells work than creating entirely new ones from scratch. The system is nevertheless impressive. Once a movement rune is added to the fire spell in the menu, Zia’s fireballs elevate and easily reach the raised torch, which in turn opens up the way forward. This is the most basic example of how spells can be modified in Mystralia, and it was immediately useful after acquiring the ability. Borealys says there will be no shortage of this type of near-immediate gratification in the final game. Much like how in Zelda you might acquire a boomerang in a dungeon that later requires the use of that boomerang, Mystralia‘s Zia will regularly unlock runes that she needs to complete the area she finds them in. A fire dungeon deeper into the game starts as expected, with Zia needing to use modified versions of her ice spells to create temporary safe passages over flowing lava and to extinguish flames. But it won’t always be just one modifier that’s needed to proceed. The last puzzle I face during my demo time requires three spread-out torches to be extinguished all at once. The solution is to bind several runes to the ice spell to make it blast multiple ice projectiles that spread out to hit the trio of torches. Unfortunately, the game is still a bit early and a bit of bugginess prevented the spell from working, but the concept was clear. What’s most interesting about the system is that the runes are never permanently bound to any one spell. Borealys wants the runes to act as unlockable power-ups that players can mix and match on the fly. The menu interface for binding them together is about as dull and uninspired as menus come, but it gets the job done. The instantaneous spell changes it allows for are impressive, and it’s easy to see how the system could allow Borealys to throw puzzles and enemies with varied solutions and weaknesses at the player in quick succession. My concern is that continually popping into the menus to adjust spells is likely to get irksome after a bit, but if Borealys is able to find the sweet spot between variety and not spending too much time in menus, Mages of Mystralia could shape into a very fun spin on the Zelda formula. 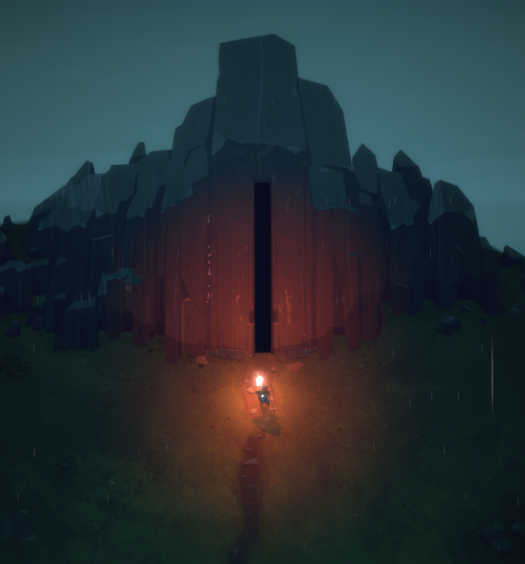 Below preview: How far are you willing to go?